These cranberry pistachio crisps are a healthy cracker that can be enjoyed with your favorite cheese, on top of salads, or right out of the box. 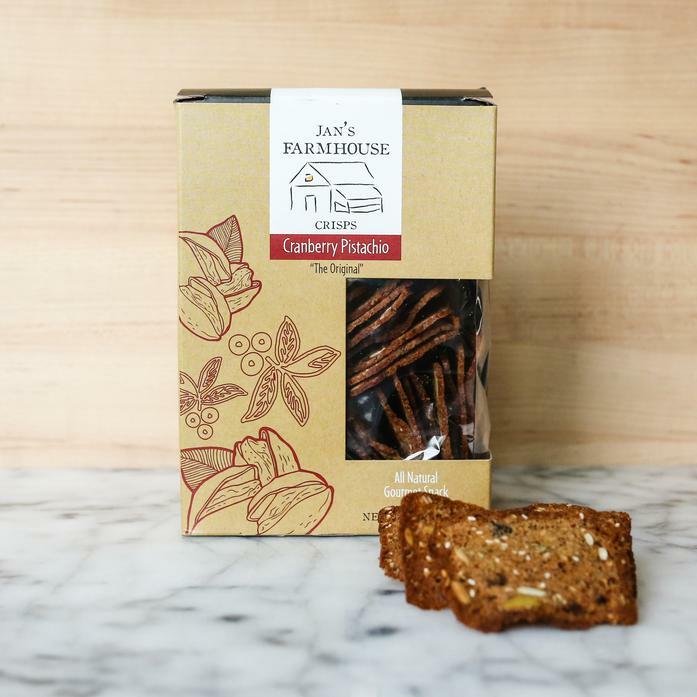 Founded by mother of three, Jan Gorham, Jan's Farmhouse crisps are handmade and handpacked in Stowe, Vermont. Ingredients: Flour (wheat), honey, buttermilk, dried cranberries (sugar, sunflower oil), pumpkin seeds, brown sugar, sesame seeds, ground flax seeds, pistachios, baking soda, salt, and rosemary.